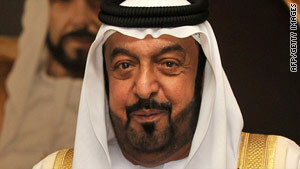 A group of UAE nationals has petitioned President Sheikh Khalifa bin Zayed Al Nahyan for direct elections. (CNN) -- A group of 133 United Arab Emirates nationals have petitioned the president of the country for direct elections. "The group called for a comprehensive reform of the parliamentary system of the Federal National Council (the Parliament), and included demands for free elections by all citizens," Mansoor said in an email. "It also demanded reform of legislation governing the work of the Parliament to include legislative and monitoring authorities and calling for necessary constitutional amendments to ensure that." Despite widespread political unrest across the Middle East and North Africa, there have been no protests in the U.A.E. Demonstrations aren't technically illegal, but police never grant permits for them. CNN's Jennifer Fenton contributed to this report.